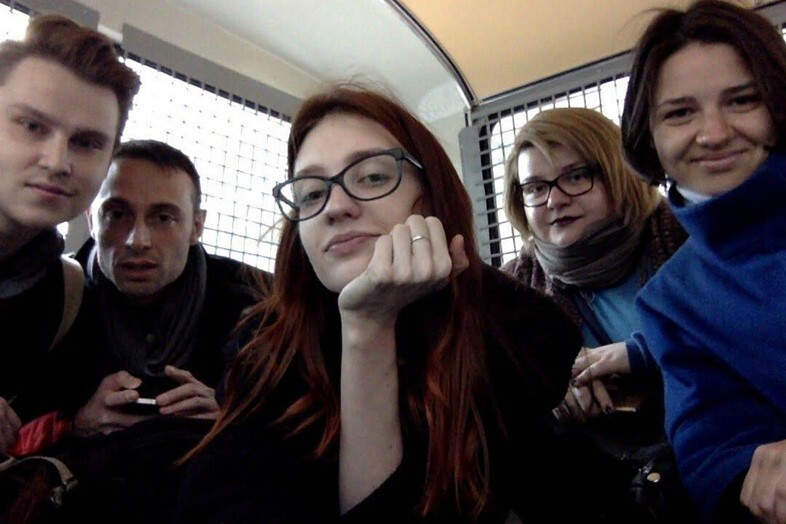 Russian police have just detained five activists attempting to deliver 400,000 signatures collected on Change.org and hundreds of thousands collected by Avaaz and AllOut, to the Prosecutor General Office in Moscow. The petition demands immediate and full investigation into the murder and torture of gay men in Chechnya. The delivery was scheduled at 11am Moscow time, and was organised by Russian LGBT Network along with Avaaz and AllOut. “When stepped out of the car, we immediately saw a lot of police ready there already. Looks like they waited for us and knew we were planning this action,” said Nikita Safronov, one of the petition starters. "So, unfortunately, as we barely left the car with all the boxes, we got immediately detained by the police." At the moment activists are locked in a police van, from which they were able to text the following message and a photo to Dazed and their petition supporters. “We are writing this update for you from a police van in which we are being kept. They are planning on taking us to the Tverskoy police station. We are asking you to spread the information about our arrest as wide as you can! Please, use your social networks or communicate this info to journalists you know”. rafraîchir l'index dans la fenêtre supérieure.